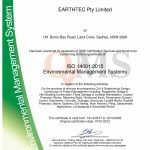 Earthtec’s Management Systems have been developed over many years to reflect the planning, work methods, controls and checks used to govern our business activities. 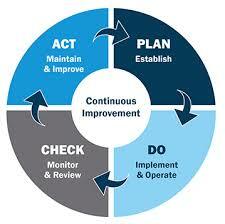 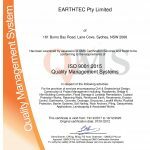 These systems detail our commitment to achieving the highest standards of client satisfaction and continual improvement through adopting a cycle of PLAN, DO, CHECK, ACT across all our activities. 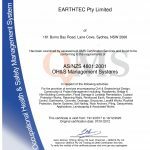 These systems and our construction activities in general are subjected to independent audits each year to maintain our JAS/ANZ Accreditation. 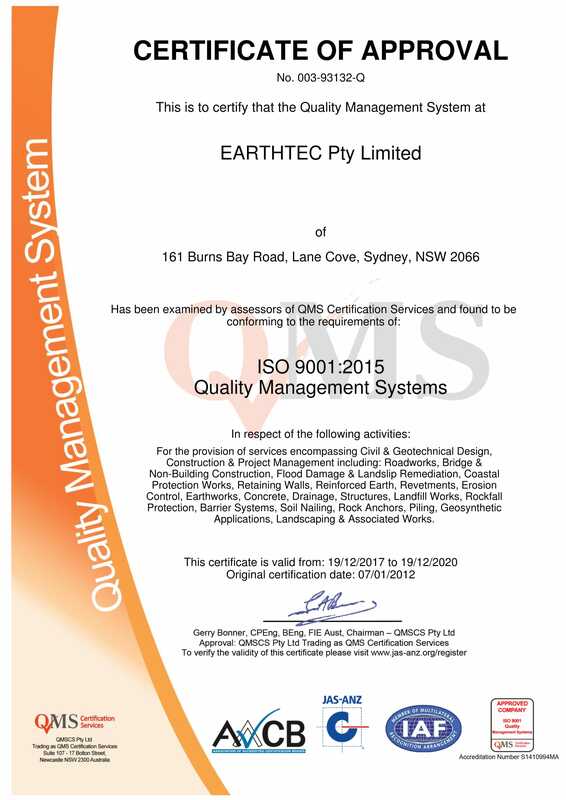 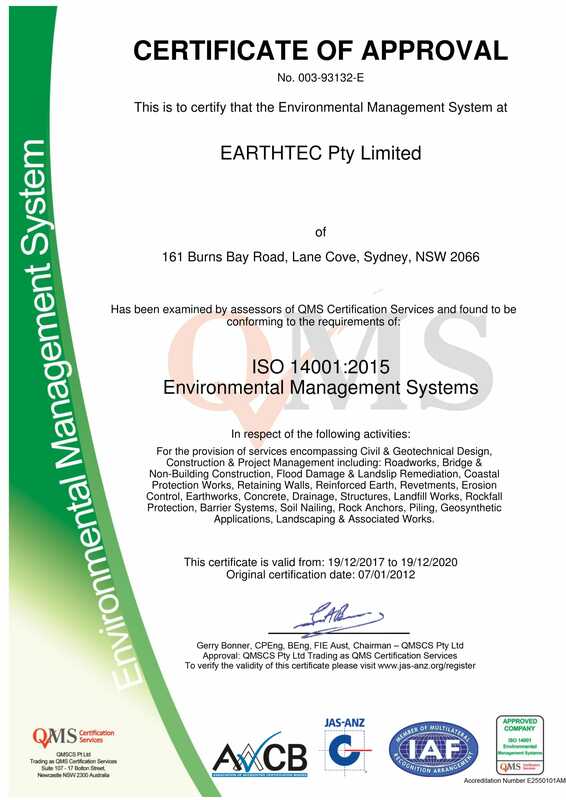 Both the Earthtec Quality Management System & Environmental Management System were updated in 2017 to comply with the latest 2015 editions of the ISO Standards and were subjected to a full system update audit in December of 2017 and have been granted a conformance certification valid through to December 2020. 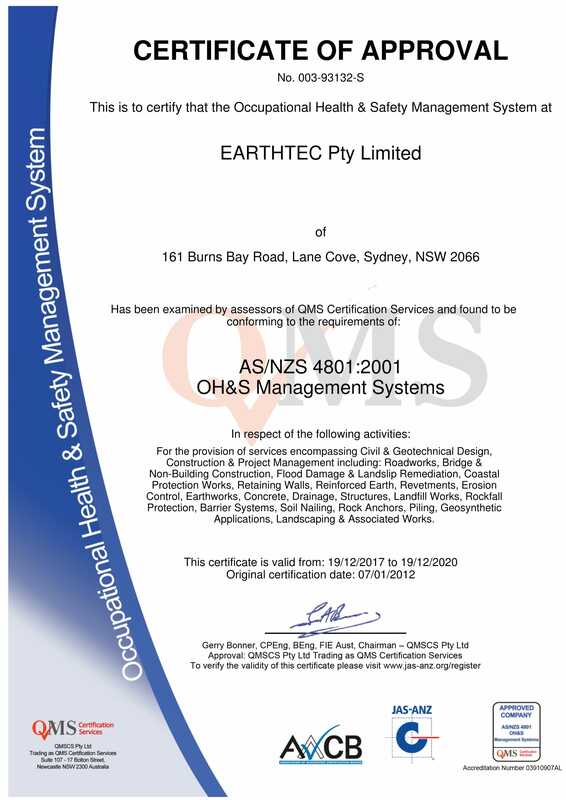 The OH & S System will likewise be updated through 2018-19 to reflect the new requirements of the Draft ISO 45001:2018 when it is released and a full system audit will be conducted to bring this system into line with our Quality & Environmental Certifications.